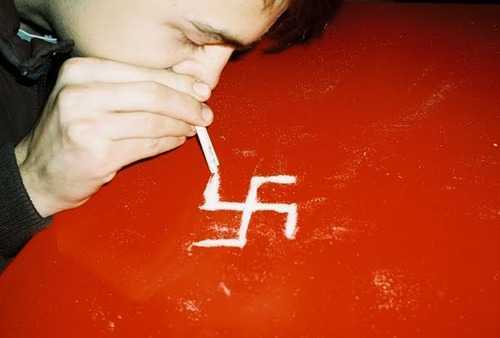 A new book by Norman Ohler makes sensational claims that not only Adolf Hitler, but much of the civilian population of Nazi Germany, was high on drugs. While there is evidence that methamphetamines (e.g. Pervitin) were extensively used by the armed forces, it is dubious that this was the case of ordinary citizens. Hitler was given an unusual (and inappropriate) amount of injectable drugs such as vitamins, testosterone, other hormones, phosphorus, and dextrose by his personal physician Theodor Morell for symptoms including stomach pains, headaches, nausea, shivering and diarrhea. 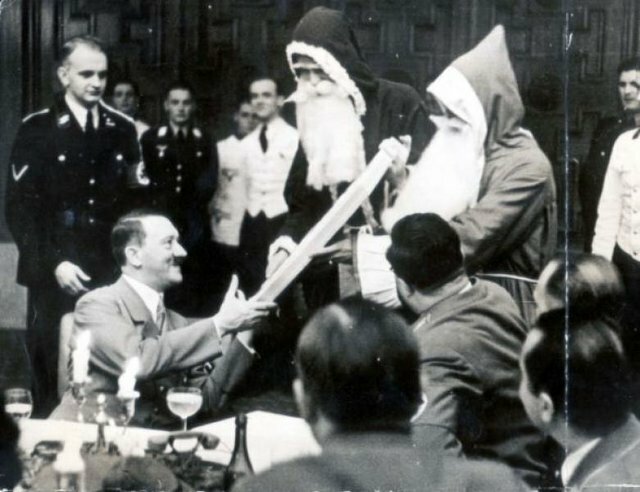 Hitler also apparently received IV oxycodone (Eukodal) and Pervitin on occasion, but the suggestion that he was an addict, high on drugs, during the last phases of the war seems to be hyperbole-and certainly no excuse for his evil behavior. 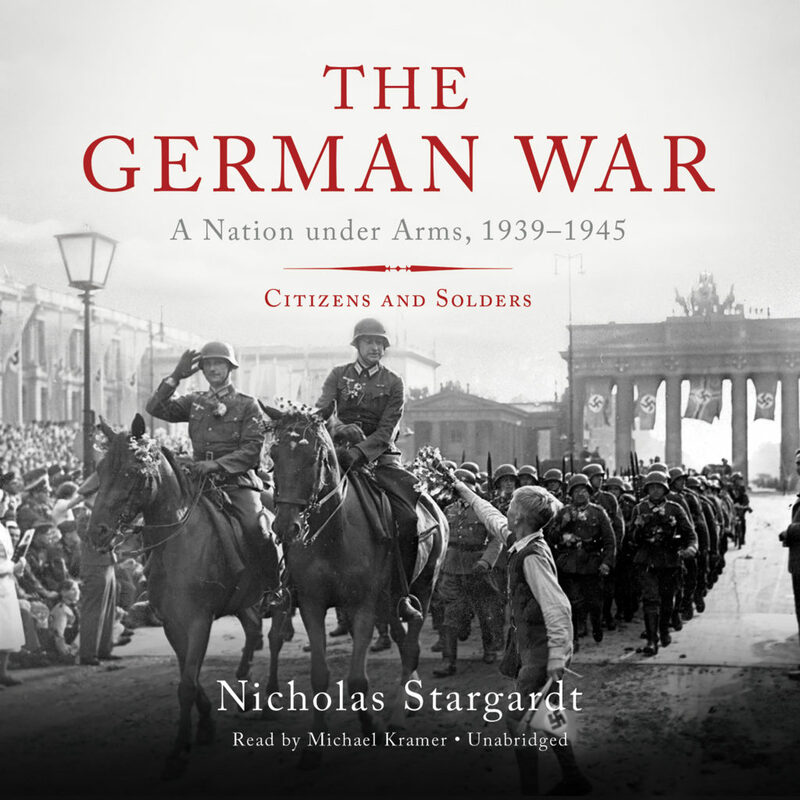 Using German archival records and letters and diaries of both civilians and soldiers during WWII, The German War - A Nation Under Arms, 1939–1945 by Nicholas Stargardt is a fascinating book that illustrates the strong civilian support for Germany's armed forces right up until the end of the war. At the same time, the book shows how the ordinary German (civilian and soldier) rationalized atrocity and genocide as necessary for the good of the nation. 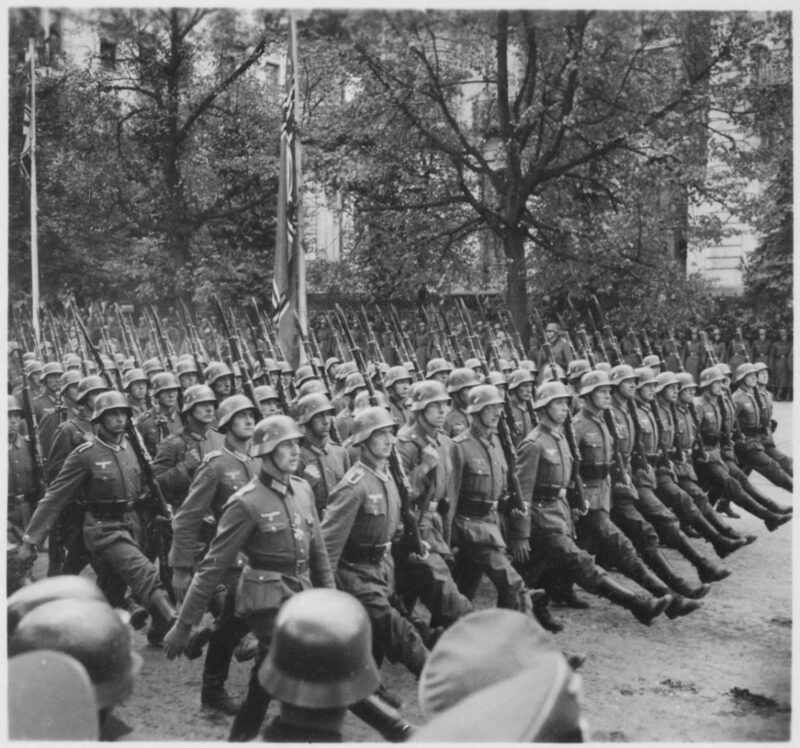 For a several decades after WWII, the myth of "good" Germans vs. the "evil" Nazis was maintained in post-war Germany. It wasn't until the mid-1960s that the next generation began seriously questioning their parents about their role in the war. Finally, at the turn of the 21st century, a traveling German exhibition regarding the role of ordinary soldier (Wehrmachtsausstellung) showed beyond doubt the culpability of the ordinary soldier (not just the SS) in atrocity and genocide. In 1985 the German President Richard von Weizsäcker delivered a speech to the Bundestag acknowledging WWII Germany's evil deeds and proclaiming May 8, 1945 as the day of Germany’s liberation from despotism rather than surrender and occupation. Subsequently, reluctance to examine the facts about the Third Reich faded and critical inquiry expanded. In my view, Japan has yet to come to similar realization regarding the terrible atrocities committed by its armed forces on enemies and civilian populations all over Asia. (Part of this fact may have paradoxically been due to the fact that much of Imperial Japanese history was skipped over in new textbooks during the reconstruction of the Japanese educational system by America educators after the war). It was true that Western imperialism had abused and hobbled many Asian countries before the war. And certainly the decision to firebomb most Japanese cities in 1945 and ultimately drop atomic bombs on Hiroshima and Nagasaki left powerful moral questions about targeting civilians in wartime. But Imperial Japan's assertion that it was acting as a "big brother" to lead Western-colonized nations into the light of freedom was patently disingenuous. 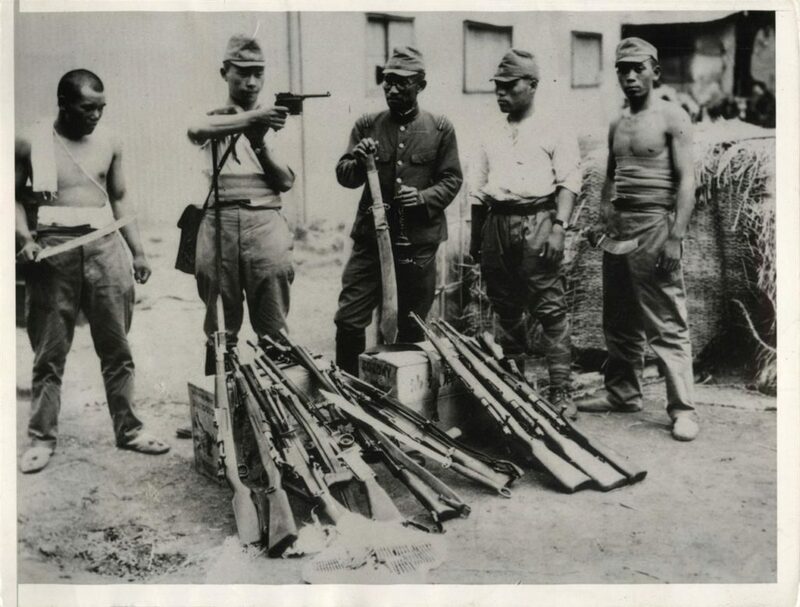 Imperial Japanese occupation of Asian countries was uncommonly cruel and rapacious. In the 1930s, silk was the preferred material for women's stockings. But they were expensive and not very durable. 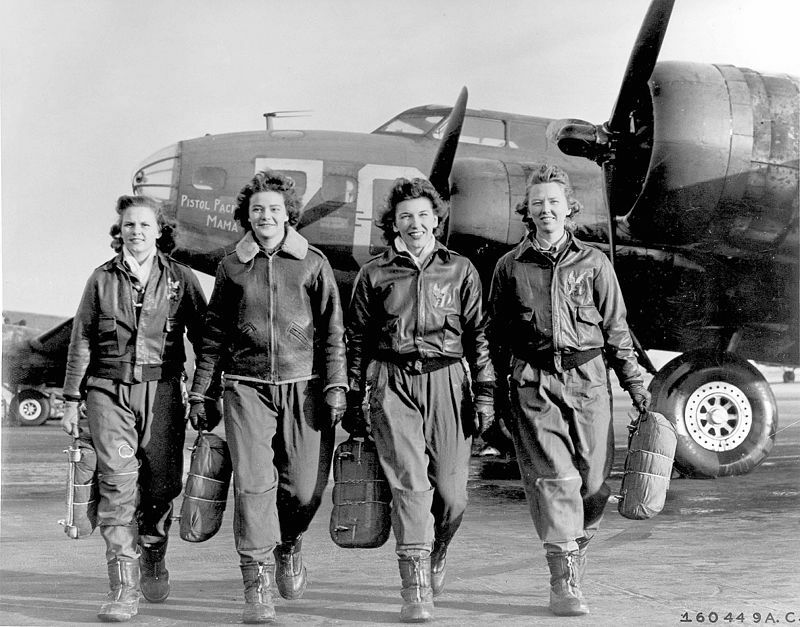 When DuPont began manufacturing nylon in 1939, most American women switched from silk to nylon stockings. 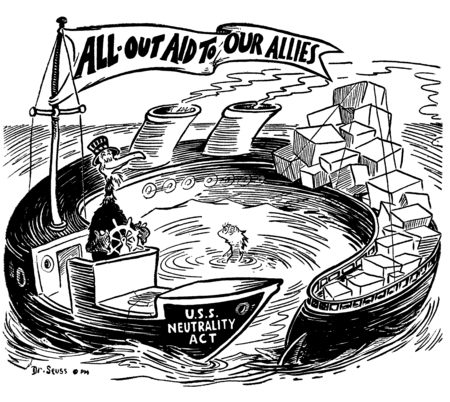 High demand brought shortages in 1942 after the United States joined the war. 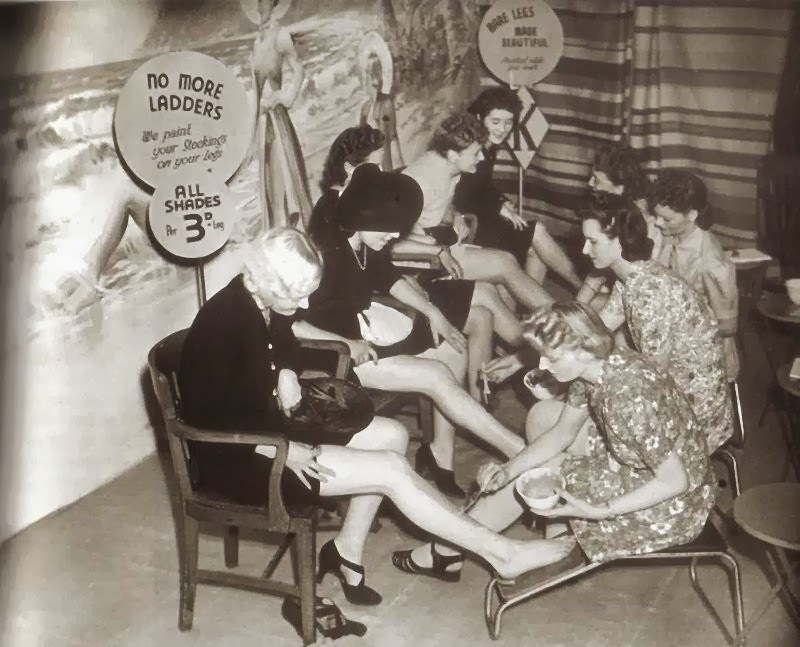 Because nylon used in the manufacture of parachutes, tents, ropes, and tires, was critical to the war effort, worn-out nylon stockings were collected and recycled for military use and many women began applying a foundation on their legs ( liquid stockings) to give the illusion of hosiery. Nylon stockings survived for another two decades after the war, then virtually disappeared when DuPont invented stretch-fit Lycra, and pantyhose came into fashion. 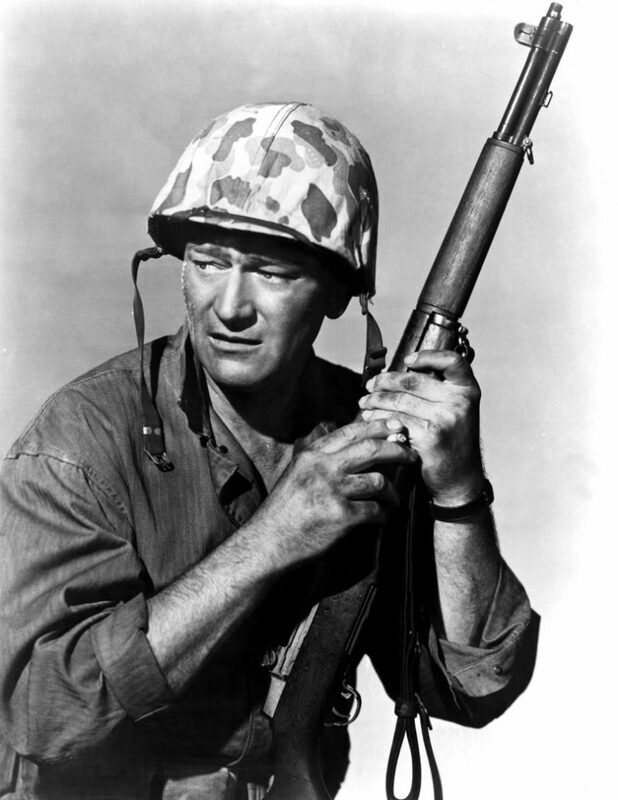 Although its importance has been emphasized through books and movies, in The Secret War: Spies, Codes and Guerrillas 1939-1945 the historian Max Hastings concludes that information gained from espionage was relatively unimportant in the outcome of WWII. Rather, Hastings states, careful analysis of open-source material proved far more useful than secrets uncovered by daring Allied and Axis spies. Rationing was introduced in Germany shortly before the outbreak of war in 1939. Initially, clothing, shoes, leather, soap and most foodstuffs were rationed. Many homes and apartments were heated with steam radiators that required coal burning hot water heaters. Kitchens often had cast iron stoves fueled with coal or wood. 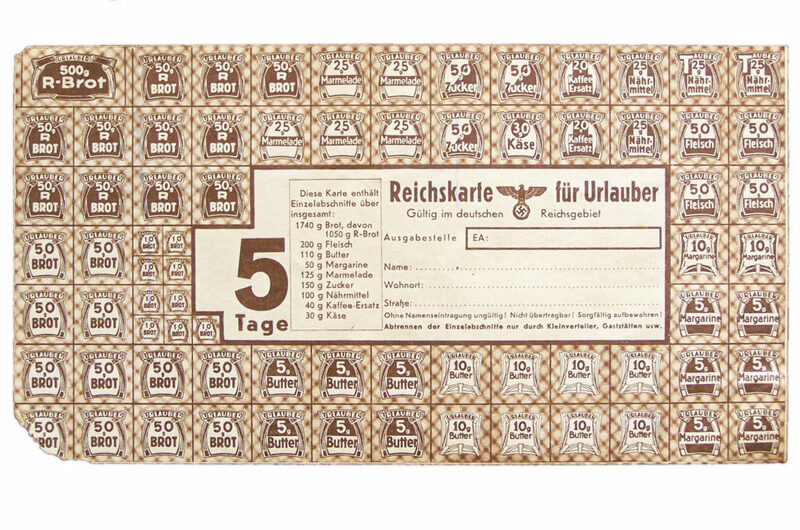 Color-coded ration stamps were issued to all civilians for: sugar, meat, fruits and nuts, dairy products, eggs, oil, grains, bread, marmalade and ersatz coffee. Food stamps were also required to purchase meals in restaurants. During the war, various imitation food products were developed including; margarine, rice patties cooked in fat as ersatz meat or mixed with onions and fish oil as ersatz fish. Flour was augmented with ground chestnuts, pea meal, potato meal, and barley. Salad spreads were made of herbs mixed with salt and red wine vinegar. Nettles and goat’s rue were used as spinach substitutes or additives to soup. Despite shortages, nearly anything was available on a thriving black market for those with money or valuables to barter. 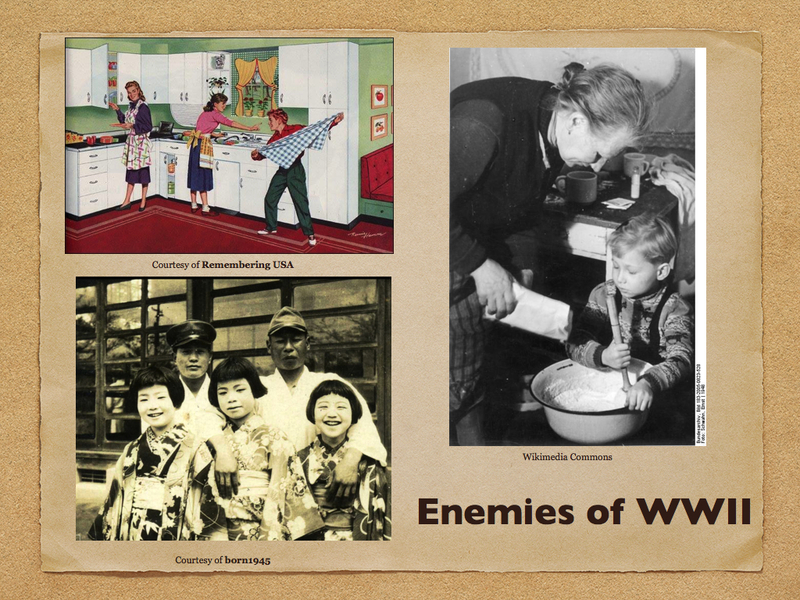 In the early years of WWII, Germans were well fed by food seized from occupied countries. However, by the winter of 1944, as occupied countries were lost, food rations were severely cut. 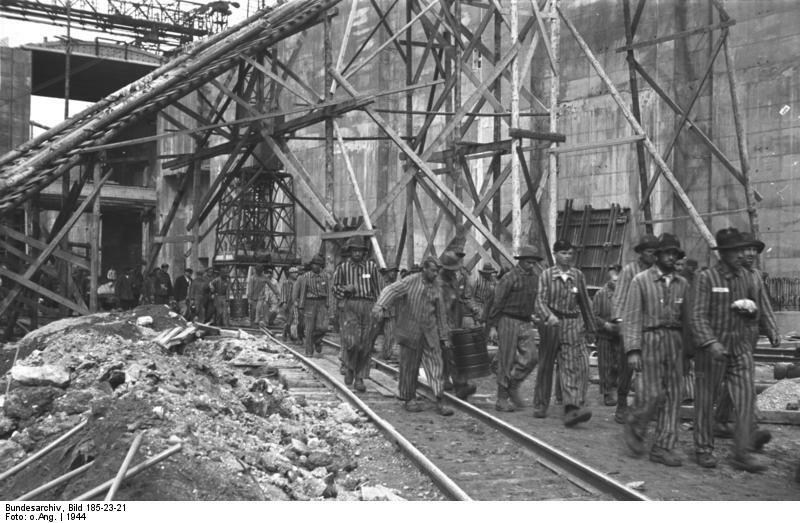 The situation steadily deteriorated into severe shortage as the Nazi regime collapsed in 1945. 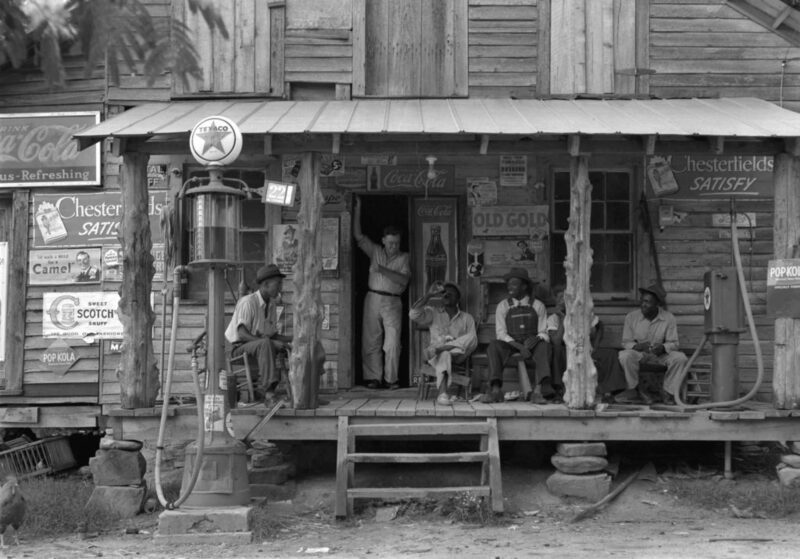 Images often evoke powerful emotions of times past. As a writer of history-inspired fiction, I create visual story boards of locations and characters from which I write scenes. 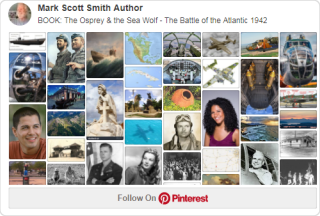 On my Pinterest site, I have collected a number of photographs, drawings and posters evocative of the WWII era. Here are a few examples. In 1923 Britain assisted Japan in the development of aircraft carriers. Throughout the 1920s, instructors from Germany trained fledgling Imperial Japanese Navy pilots in obsolescent foreign aircraft. But in the early 1930s, incorporating advanced modern technology, Japan secretly began building its own aircraft. Apparently, shortly before the Pearl Harbor attack, U.S. military strategists still assumed that Japan had only a few hundred relatively obsolete aircraft, copied from older British, German, Italian and American designs. In reality, at the beginning of the Pacific War, Imperial Japan had the finest naval aviation corps in the world. Japanese aircraft (e.g. the legendary Mitsubishi Zero fighter) were equal or superior to any Western model. 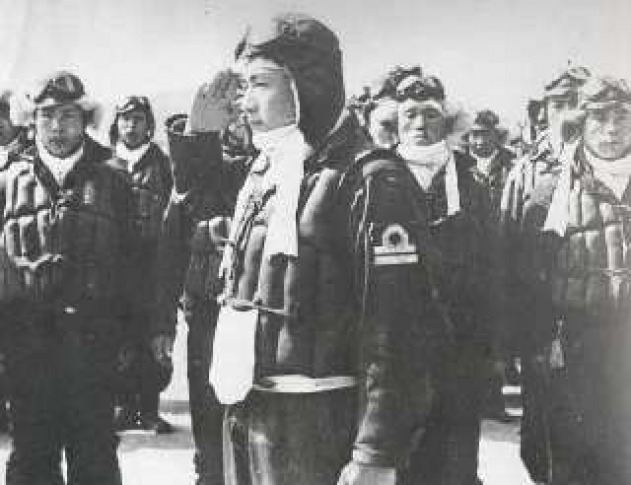 Additionally, well-trained Japanese pilots had gained valuable experience since 1937 in the Second Sino-Japanese War. During the first six months of the Pacific War, Japan achieved a stunning succession of victories. 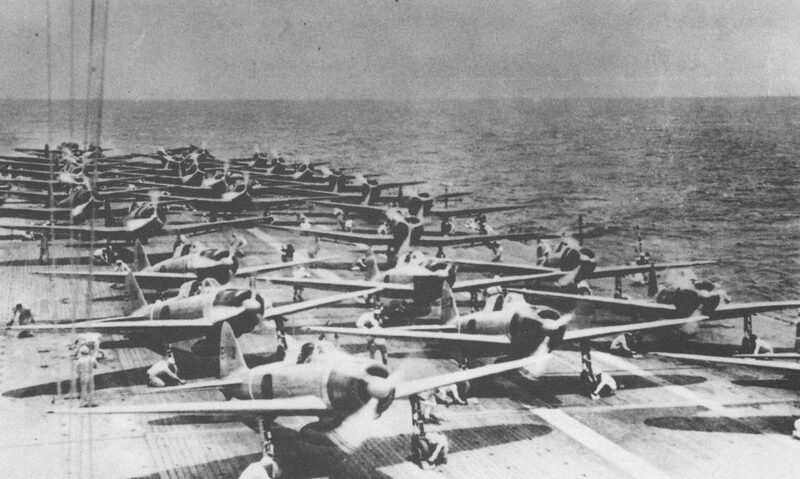 Then came the Battle of Midway where the Imperial Japanese Navy lost >300 pilots and four aircraft carriers in a battle from which they never fully recovered. 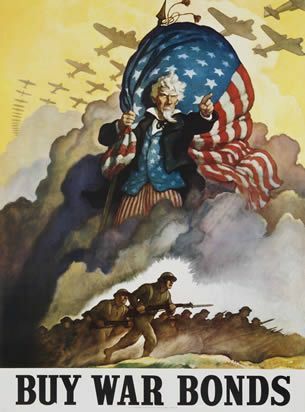 "“In the first six to twelve months of a war with the United States and Great Britain, I will run wild and win victory upon victory. But then, if the war continues after that, I have no expectation of success.” Admiral Isoroku Yamamoto Despite Yamamoto's warning, Japan had no contingency plans for a long war. Most of the operational types with which Imperial Japan began the Pacific War in December 1941, were still front line aircraft when the war ended in August 1945. 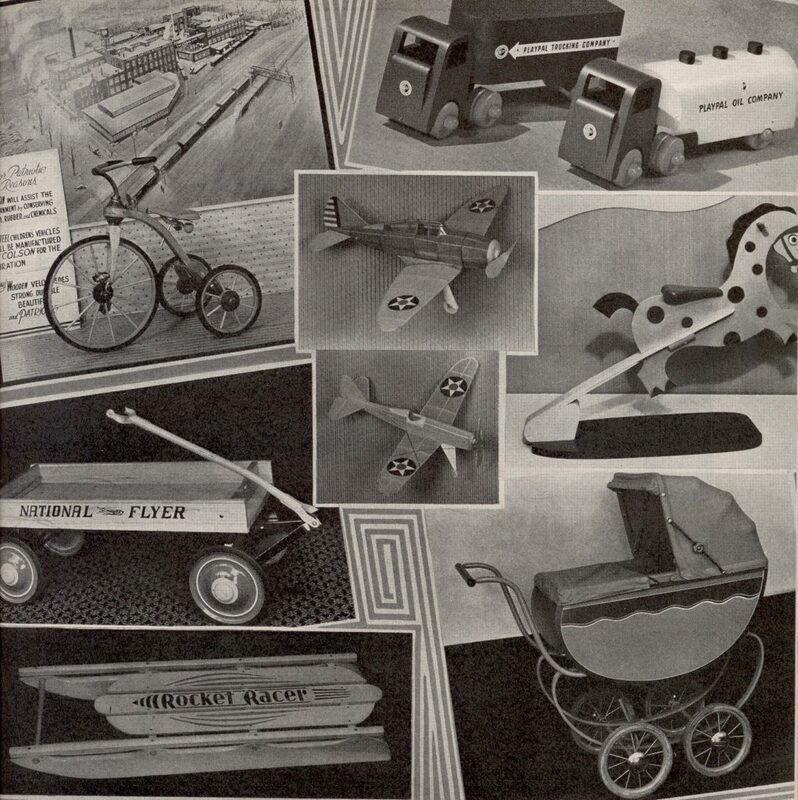 In contrast, the Allies were able to accelerate the replacement of obsolete aircraft with new improved designs. At the beginning of the Pacific War, Japan made the decision to deploy all of their most experienced pilots in battle. In contrast, after a brief period of deploying their most experienced pilots very early in the Pacific War, the Americans deliberately retained their best pilots as flight instructors and invested heavily in training facilities. The result was initial Japanese air superiority that soon dwindled with the loss of men and aircraft. Ultimately, Allied aircraft production vastly outpaced Japanese ability to keep up. This rather eerie military song (軍歌 gunka) Umi Yukaba 海行かば was based on an ancient 和歌 waka poem by Ōtomo no Yakamochi and put to music by Nobutoki Kiyoshi in 1937. Popular throughout WWII, Umi Yukaba was sung by departing Kamikaze pilots (神風) during the last stages of the Pacific War. If I go away to the sea, I shall be a corpse washed up. If I go away to the mountain, I shall be a corpse in the grass. But if I die for the Emperor, It will not be a regret. 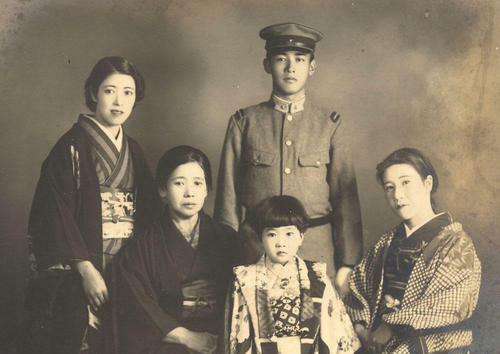 Beginning in the 1920s, the Imperial Japanese government enacted a series of welfare programs, based mainly on European models, to provide medical care and financial support. After the onset of the Second Sino-Japanese War in 1938, the Ministry of Health and Welfare was created with special emphasis on children and younger citizens in response to needs for a physically and mentally fit population capable of successful warfare. During the Pacific War the Imperial Japanese government expanded health care to the entire nation and introduced various pension plans. Unfortunately, Japanese wartime welfare work neglected individuals such as the elderly, mentally-ill and disabled who did not constitute valuable human resources for military-industrial mobilization. 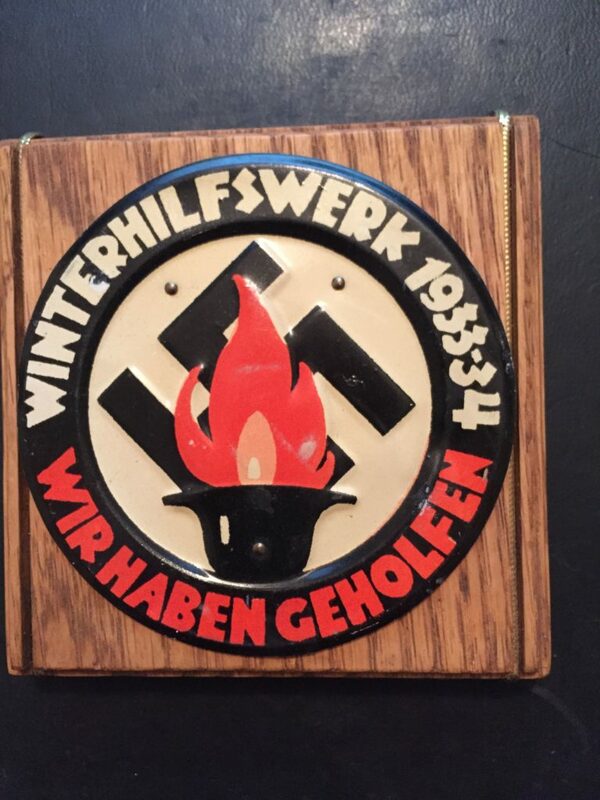 The National Socialist People’s Welfare Organization (Nationalsozialistische Volkswohlfahrt) conducted an annual winter drive (Winterhilfswerk) with the slogan "None shall starve nor freeze." 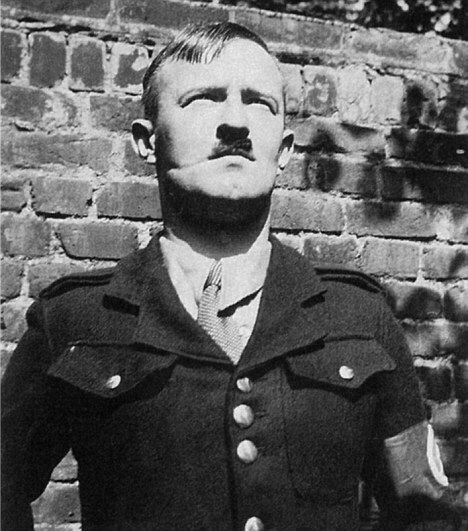 Although the program was established before the Nazi's rise to power, Hitler claimed credit for the program. 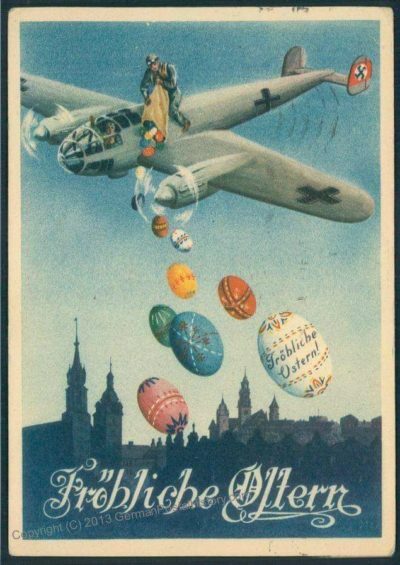 Providing food, clothing, coal, and other items to economically disadvantaged Germans, the program ran from from October through March until the end of the war. Similar initiatives were started in other countries in German-occupied Europe. This superbly written, often lyrical, WWII novel about a blind French girl and a young German soldier is excellent reading. 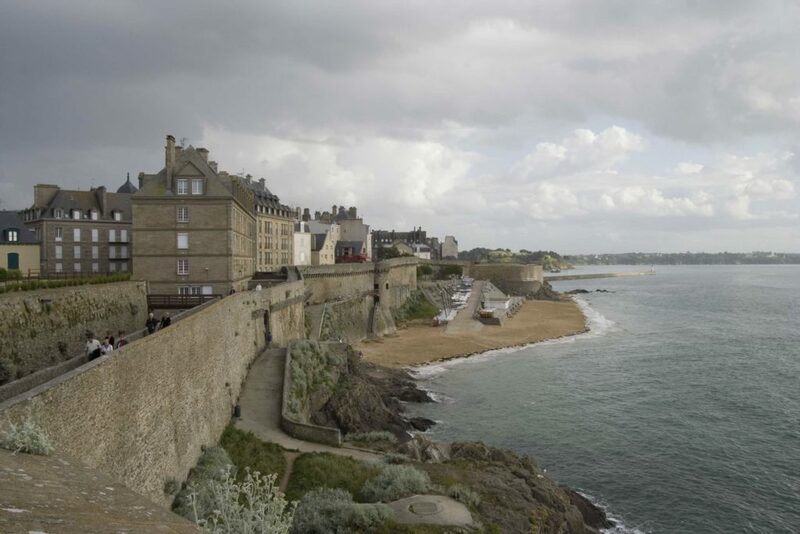 “I have been feeling very clearheaded lately and what I want to write about today is the sea. It contains so many colors. Silver at dawn, green at noon, dark blue in the evening. Sometimes it looks almost red. Or it will turn the color of old coins. Right now the shadows of clouds are dragging across it, and patches of sunlight are touching down everywhere. White strings of gulls drag over it like beads." Read the NY Times review. Researching material for a history-inspired novel I am writing about the Battle of the Atlantic, I came across the fascinating story of the Type XIV Milchkuh (milk cow) submarine tanker. In early 1942, German U-Boats hunting Allied ships along the U.S. East Coast, Gulf of Mexico and Caribbean had to sail all the way back to port in occupied France to be re-supplied with fuel, armament, food and other necessary supplies. 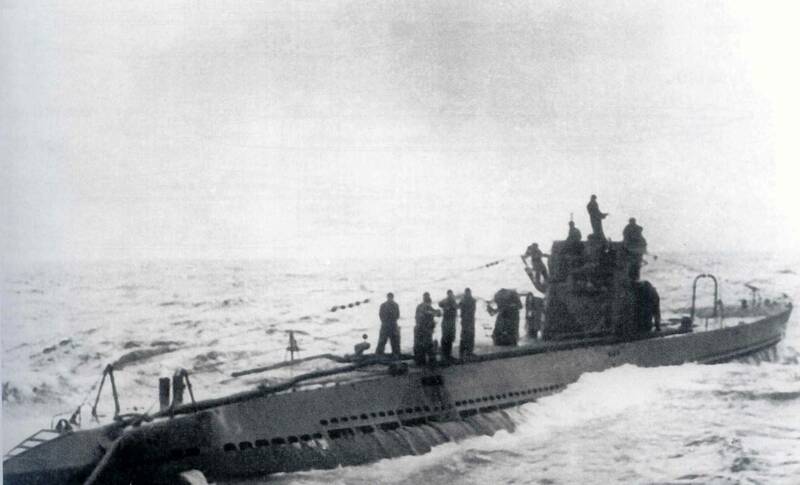 However, with deployment of the Milchkühe in April 1942, U-Boats could be resupplied in Mid-Atlantic. But the Milchkuh success was short-lived. By early 1943, with increasing awareness of their presence and advances in radar technology, the Allies began systematically sinking the Milchkühe. All ten of the Type XIV submarine tankers put into operation were sunk by 1944. Like Imperial Japan, many corporations in Nazi Germany also used slave labor. Although modern Germany has done much better than Japan in discussing Nazi era atrocities and use of slave labor, there appear to be certain groups that would like to keep the matter closed. 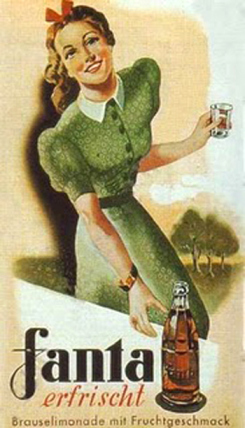 Due to a trade embargo imposed in 1941, Nazi Germany was no longer able to import Coca Cola syrup. Coca-Cola Deutschland (Coca-Cola GmbH) decided to create a new product for the German market, using ingredients available in Germany at the time - sweetened whey and apple fiber residues. The name of the new soda drink (Fanta) was reportedly derived from the German word Fantasie (fantasy). After the war, Fanta production was discontinued when the parent company was reunited with the German branch. But when the Pepsi Corporation began marketing competing soft drinks in the 1950s, Coca Cola relaunched Fanta in 1955 and marketed it in Europe, Asia, Africa and South America. 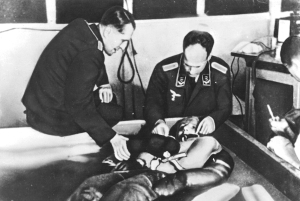 When the German pharmaceutical company Temmler Werke released a methamphetamine compound in 1938, a Wehrmacht (German army) physiologist recognized its potential application in wartime. After a study demonstrated that the drug increased productivity in sleep-deprived university students, the military began distributing millions of the tablets to pilots and soldiers on the front (who dubbed it Panzerschokolade- tank chocolate). After long-term use, however, many soldiers became addicted to the stimulant. Side effects included sweating, dizziness, depression and hallucinations. 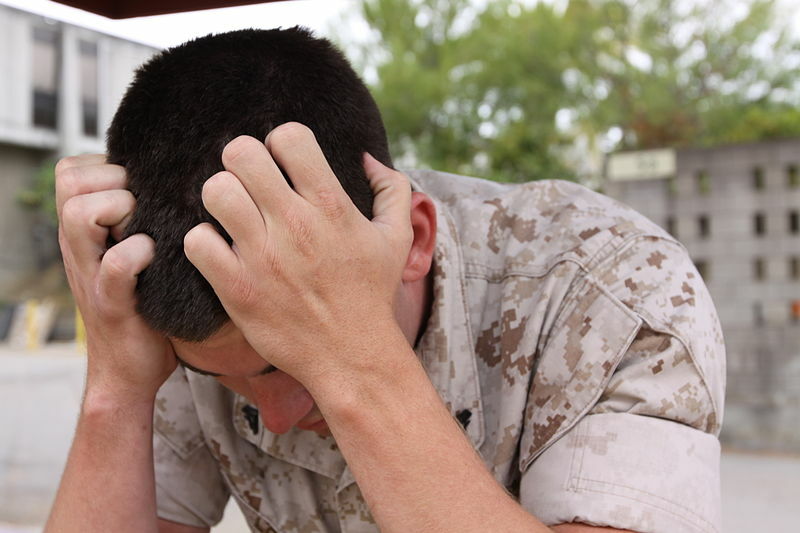 Reports emerged of soldiers dying of heart failure or shooting themselves during psychotic breaks. Despite efforts by some Third Reich health official to limit distribution of the drug, it's use continued throughout the war. In the 1960s, both East and West German armies continued the use of stimulant pills. Not until the 1970s did West Germany's Bundeswehr remove the drug from its medical supplies. The communist German Democratic Republic followed suit in 1988. Today, methamphetamine is a major drug of abuse. Taken orally, smoked, snorted, or injected in a water or alcohol solution, methamphetamine is an extremely addictive drug. The drug increases the amount of the neurotransmitter dopamine (involved in reward, motivation, pleasure, and motor function) in the brain. Repeated use often leads to addiction - a chronic, relapsing condition characterized by compulsive drug seeking and use. Long-term users may experience anxiety, confusion, insomnia, mood disturbances and display violent behavior. They may also show symptoms of psychosis, such as paranoia, visual and auditory hallucinations, and delusions. Long-term methamphetamine use has many negative consequences for physical health, including extreme weight loss, severe dental problems (“meth mouth”), and skin sores caused by scratching. Axis Sally was the generic nickname given to female radio personalities who broadcast English-language propaganda for the European Axis Powers during World War II. 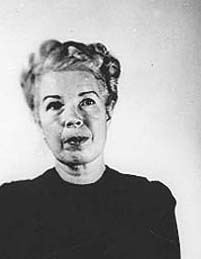 Mildred Elizabeth Gillars, nicknamed "Axis Sally," was an American broadcaster employed by Nazi Germany to proliferate propaganda during WWII. In 1949, she was convicted of treason by the U.S.government. Rita Luisa Zucca, also known as "Axis Sally," was an Italian-American radio announcer who broadcast Axis propaganda to Allied troops in Italy and North Africa. Because she had become an Italian citizen before beginning her broadcast work, she could not be tried for treason by the U.S. at the end of the war. 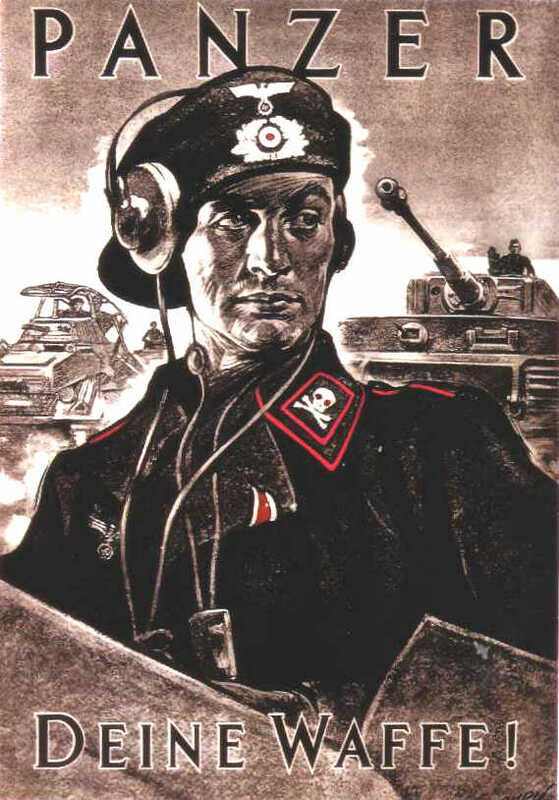 SIGNAL magazine, published in 20 languages by the Nazi Germany's Wehrmacht, was widely circulated in occupied Europe and neutral countries during WWII. 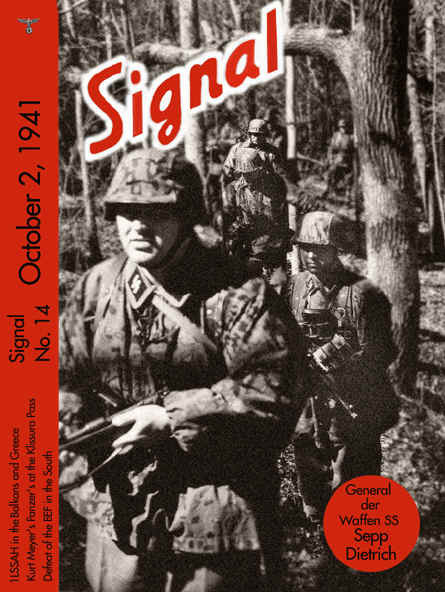 In 1943 circulation of SIGNAL peaked at 2.5 million. With high quality color photos, extensive reviews and little anti-semitic diatribe, SIGNAL intended to depict Nazi Germany and its New Order as the great benefactor of European peoples and of Western civilization in general. Most countries in the world participated in WWII. 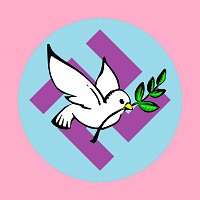 The leading Axis powers were Nazi Germany, the Kingdom of Italy, and the Empire of Japan. The major Allied Powers were the United Kingdom and France and their colonies, China, the Soviet Union and the United States. Ireland, Portugal, Spain, Sweden and Switzerland remained neutral. Among the neutral nations, Portugal, Sweden, and Switzerland aided the Allied Powers by supplying "voluntary" brigades to Great Britain. 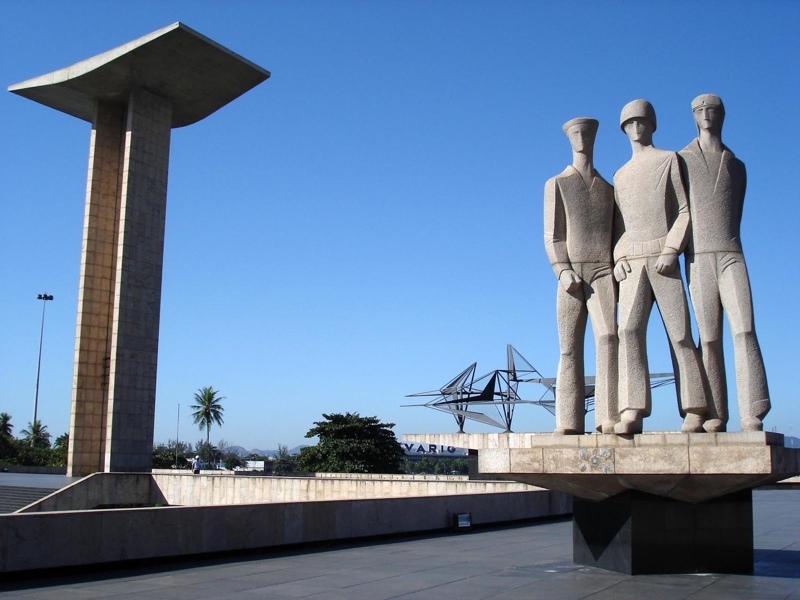 Spain, recovering from a calamitous civil war, generally favored the Axis Powers. Ireland generally favored the Allies. Purple was a cipher used by Imperial Japan during WWII to encrypt diplomatic messages sent to embassies throughout the world. 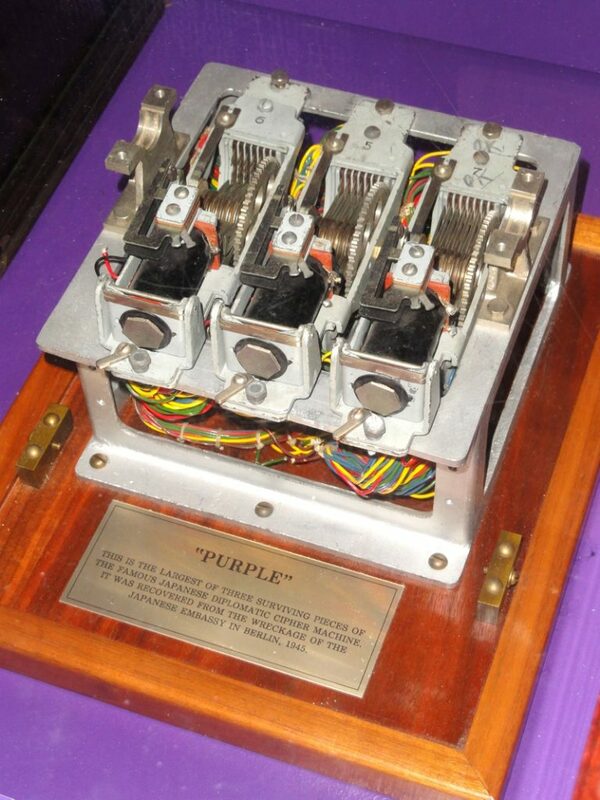 The Purple machine consisted of two electronic typewriters separated by a plugboard and a box containing the cryptographic elements in s series of relays within an intricate network of wiring. After creating a "shadow Purple machine" in 1939, the U.S. Navy Interception Center was able to decode Purple messages well before the onset of the Pacific War. Although much important information regarding Japanese military plans plans and attack locations was obtained, no specific information about the attack on Pearl Harbor was recognized. After the U.S. entered the war, decoding efforts were increased for all types of intercepted information to determine the position of the Japanese fleet and where it was headed. In 1942, many purple messages forecast an attack at "AF." U.S. cryptanalysts knew the meanings attached to a number of geographical designators, and presumed that "AF" stood for Midway. The definitive answer was obtained when Admiral Chester Nimitz ordered a message to be sent in a code that Japan had already broken: Midway is out of water. 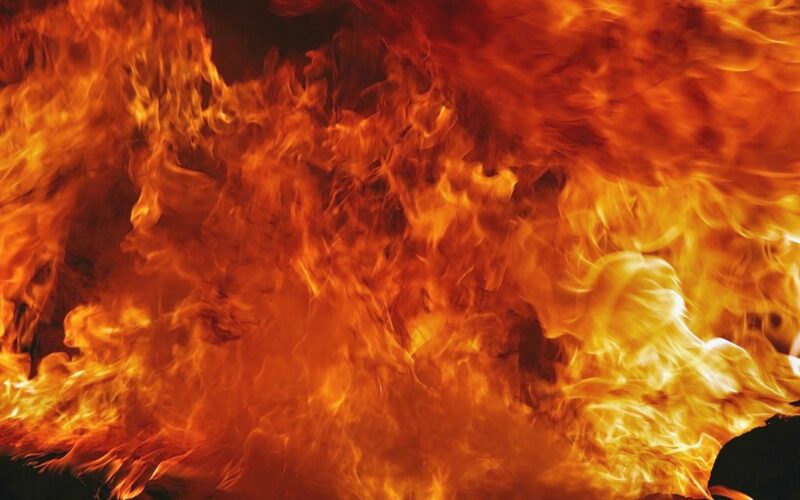 Hours later a PURPLE cipher reported "AF is out of water." Nimitz subsequently positioned his fleet at Midway and surprised the arriving Japanese fleet. The U.S. victory at the Battle of Midway in June 1942 was one of the most decisive battles of war, as Japan's offensive power at sea was nearly destroyed. Until 1943, when the Japanese stopped using Purple (a code they believed was indecipherable) , the United States made various surprise attacks on Japan due to the knowledge they had from Purple ciphers. This post is haunting. 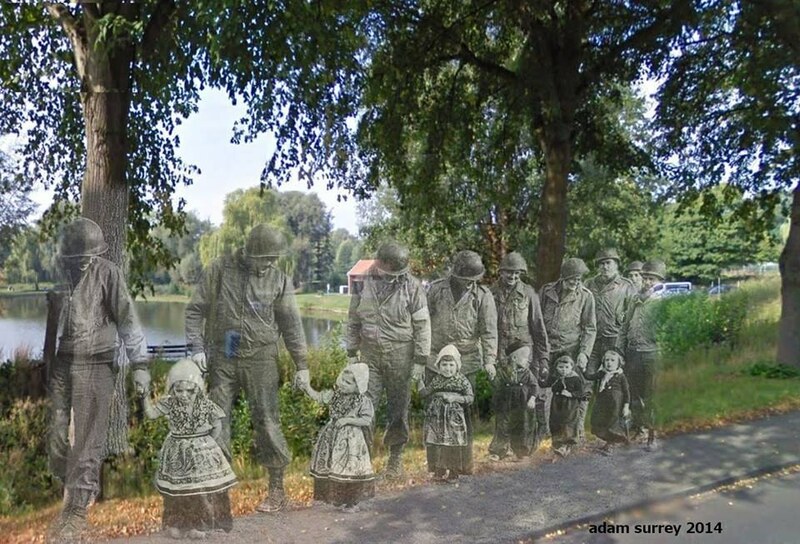 View: 26 Ghostly Images Of World War Two, Blended With The Present. 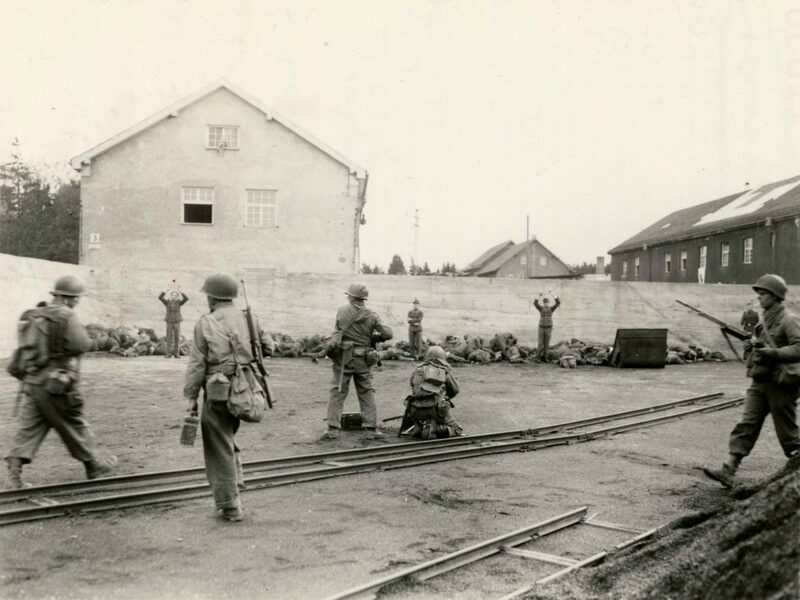 Beginning in 1939, small groups, targeted for political or racial reasons as dangerous to Nazi Germany, were murdered in German concentration camps. During 1939–1942, as Germany occupied most of Europe, the SS established new concentration camps for increasing numbers of political prisoners, resistance groups, and groups deemed racially inferior, such as Jews and Gypsies. In January 1942, the Wannsee Conference, held by the SS-Reich Main Security Office in a Berlin suburb, completed plans for implementation of the "final solution" in which most of the Jews of German-occupied Europe would be deported to Poland and exterminated. 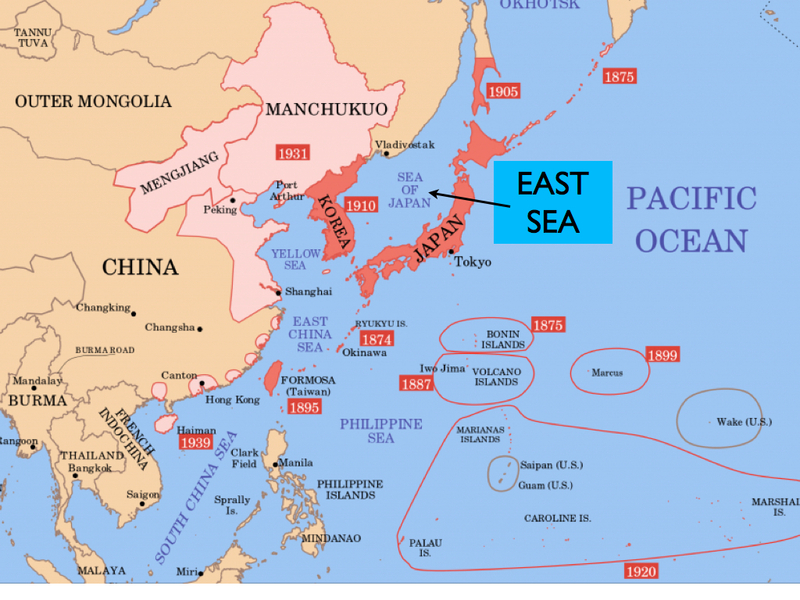 https://www.youtube.com/watch?v=1e_AZ3j2LbY&feature=c4-overview&list=UUUXqYwTCR6R3Wr-FkLTD4AQ This very interesting animated map site shows changing front lines of World War II in both the European and Pacific Theaters. Citing an attack on a German radio station in Upper Silesia (actually staged by the Nazis), Germany invaded Poland in September 1939. With Russian forces invading from the east, Poland was ultimately divided into two sections. 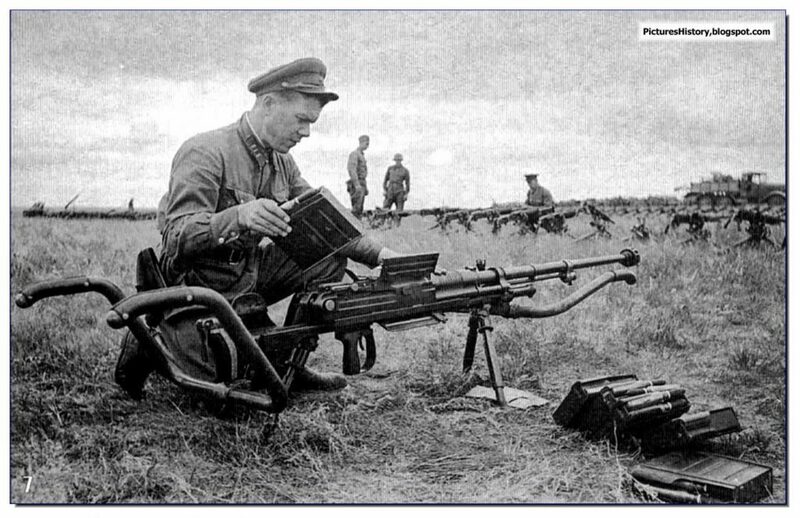 Russian troops invading Poland - Wikimedia Commons The cascade of events that followed began WWII. 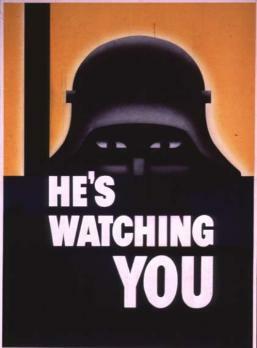 In response to the Nazi threat in Europe, the 1939 Neutrality Act amended earlier legislation and permitted all belligerents to be supplied on a "cash and carry" basis. It also forbid U.S. vessels from entering combat zones, and citizens from sailing on belligerent vessels. Star pitcher Eiji Sawamura - killed in action 1944 (Wikimedia Commons) In a January 1942 "green light" letter to the baseball commissioner, FDR said "I honestly feel that it would be best for the country to keep baseball going (during the war)." 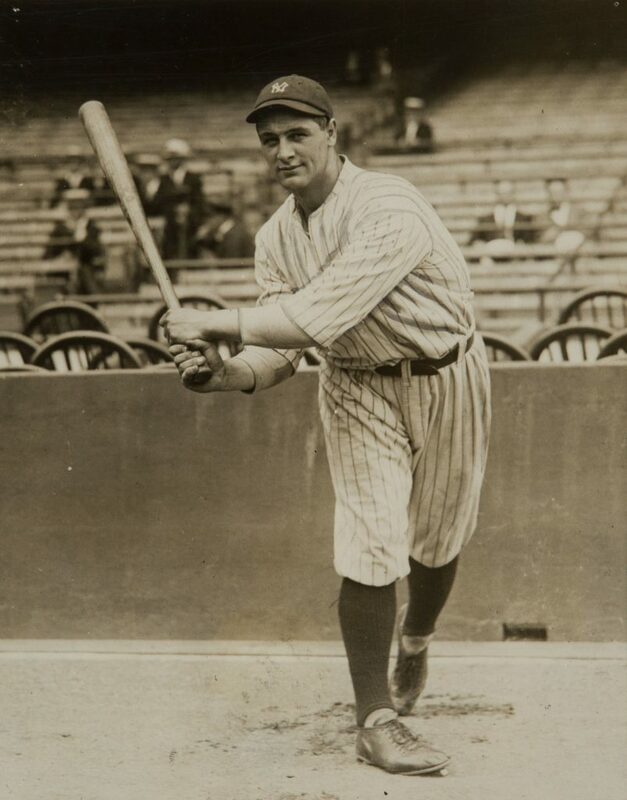 In Japan, baseball, jazz and other western customs were discouraged by the military government in 1940. 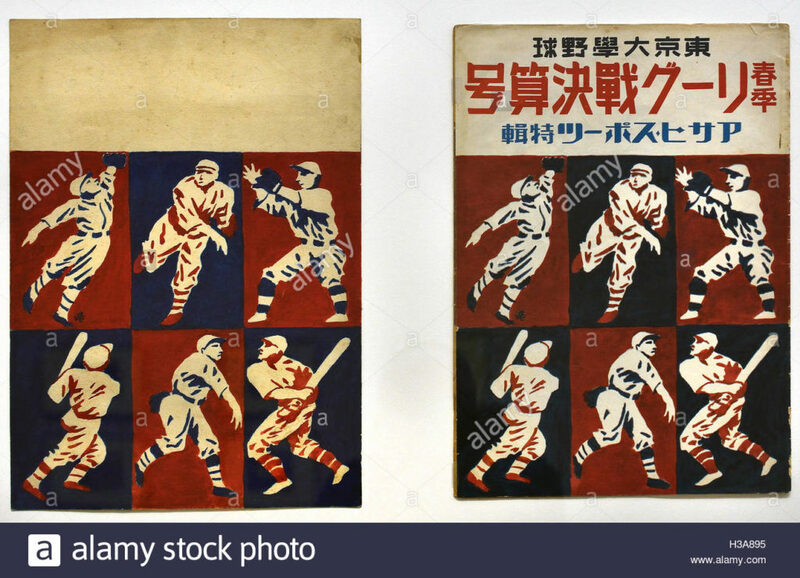 But the sport (played in the country since 1870) was so popular that Japanese Baseball League games continued until the firebombing of Japanese cities in 1945. One of the first things authorized by General MacArthur during the occupation was the resumption of professional baseball games. 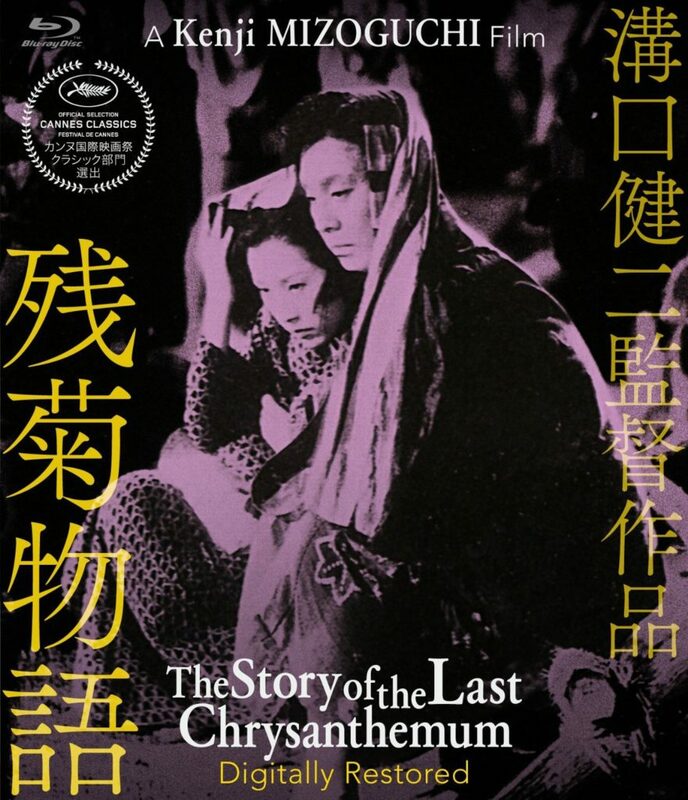 Set in 1895 Japan, this Kenji Mizoguchi film about a Kabuki actor, his adopted son and a wet nurse has been highly acclaimed for its mise-en-scène (visual theme) compositions and extreme long takes. 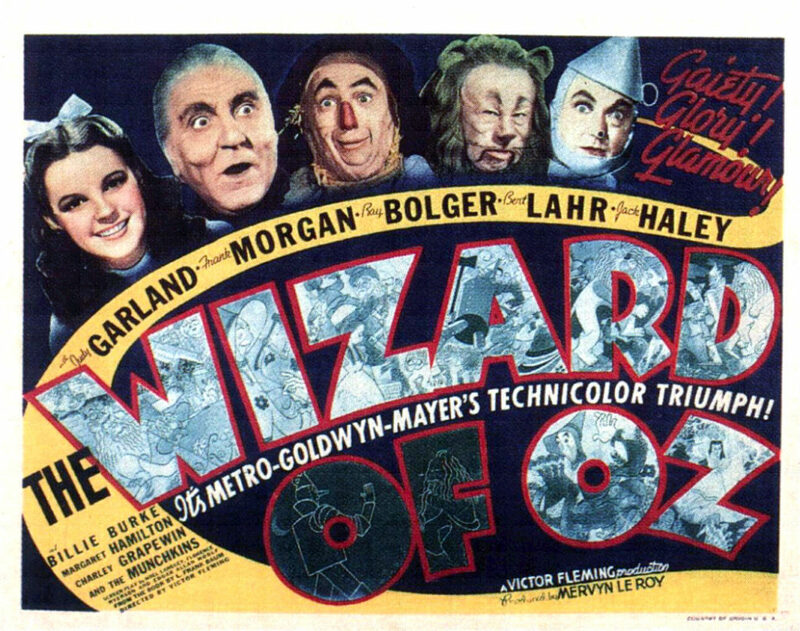 http://www.youtube.com/watch?feature=player_detailpage&v=PSZxmZmBfnU In 1939 MGM's The Wizard of Oz was a popular technicolor fantasy starring Judy Garland, Ray Bolger, Jack Haley, Bert Lahr, and Frank Morgan. The Japanese aircraft carriers Hiryu and Shokaku were launched in 1939. These two carriers, along with four others (Akagi, Kaga, Soryu and Zuikaku) carried 420 planes and were escorted by two battleships, two heavy cruisers, one light cruiser, eleven destroyers, eight tankers and twenty-three submarines to the attack on Pearl Harbor. 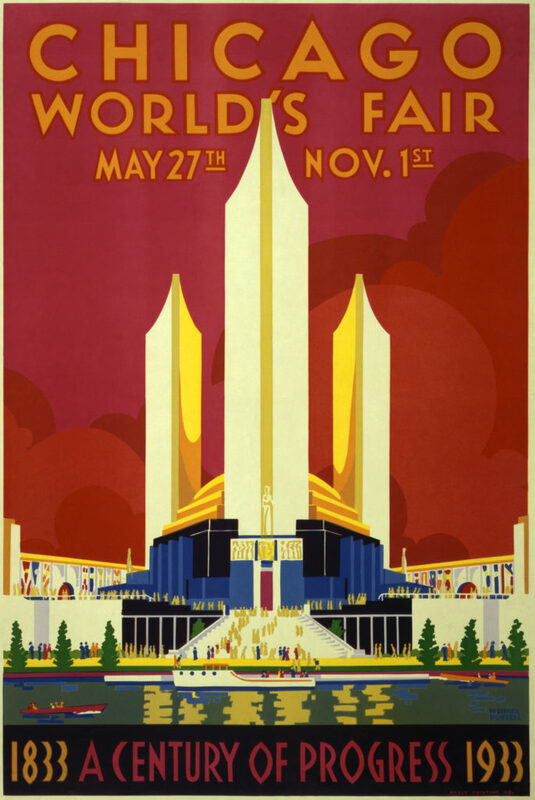 The 1939 World's fair prophesied a future world of automated highways and large suburbs. 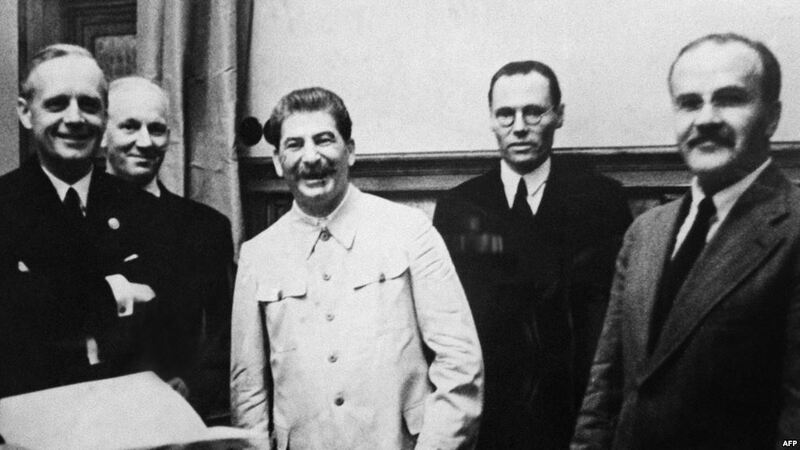 At the height of military engagement with Japan in the far east, the USSR signed a pact of non-aggression with Nazi Germany. 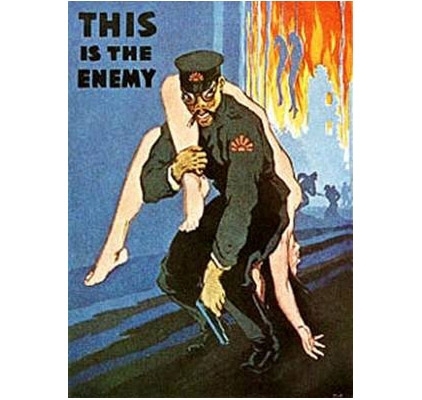 The pact would allow the Soviets to concentrate on the border war with Japan and Germany to subsequently invade Poland without Soviet response. via Japan's Economy in the 20th century As Japan proceeded to expand military operations in Asia (and endanger U.S. citizens, rights and property in China), diplomatic relationships with the USA deteriorated further. 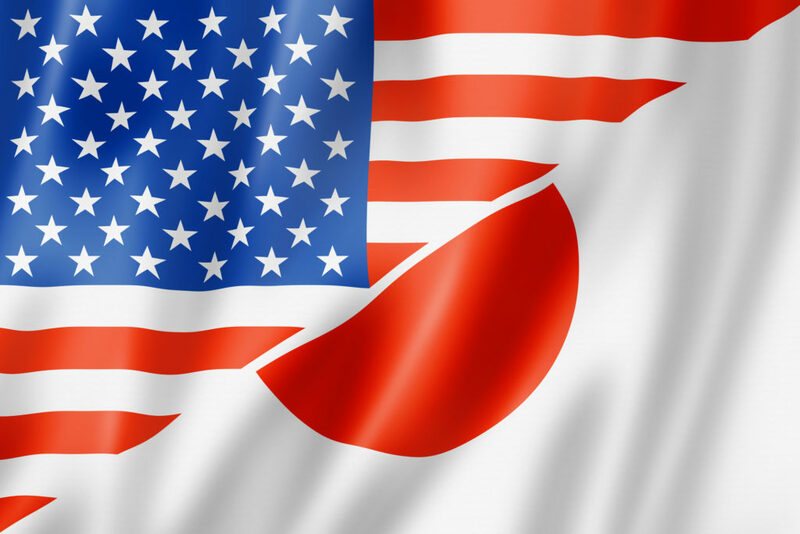 In July 1939 the U.S. Government gave notice that the 1911 commercial treaty with Japan would be terminated in six months, removing any legal obstacle to imposition of an export embargo. Since American independence from England in 1776, the relationship between the two countries was often strained. But, perceiving the need for cooperation with the threat of war looming in Europe, President Franklin Roosevelt invited Britain's royal couple to visit the USA. 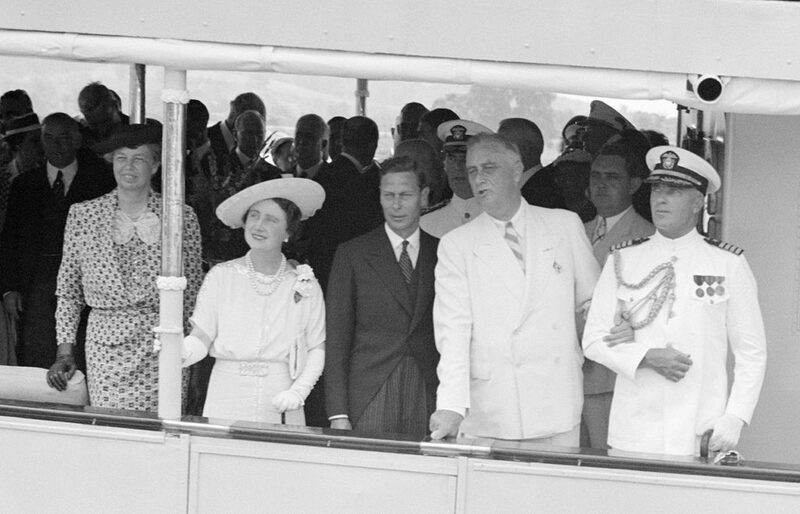 Despite some opposition, the vast majority of Americans welcomed England's royalty in Washington D.C. on June 8, 1939 with exuberant delight. 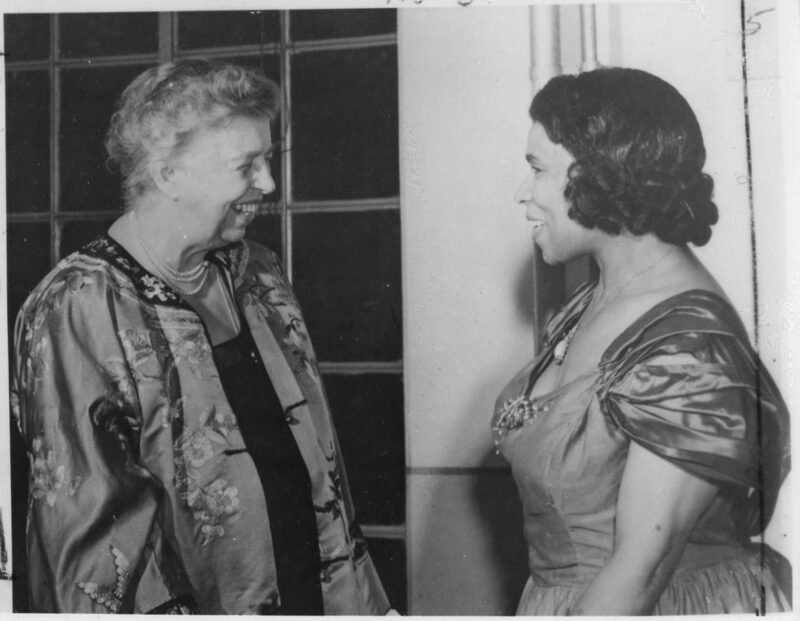 http://www.youtube.com/watch?v=mAONYTMf2pk&feature=player_detailpage When Marian Anderson was denied the opportunity to sing at Constitution Hall by the Daughters of the American Revolution, Eleanor Roosevelt resigned from the DAR and arranged for Ms. Anderson to sing at the Lincoln Memorial. 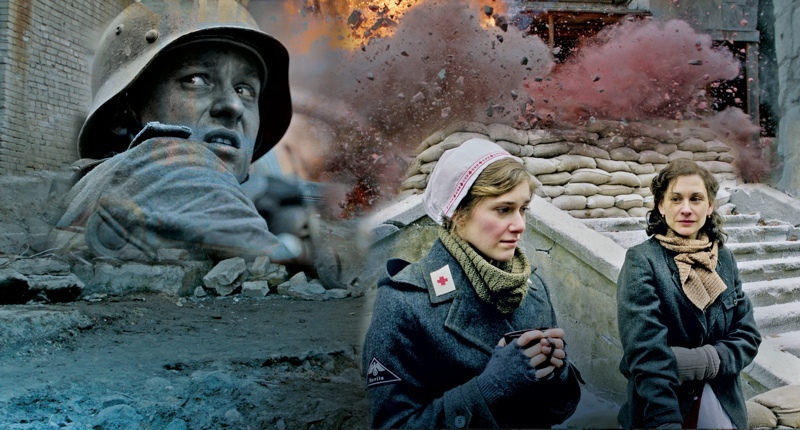 Throughout the late 1930s, Japan and the USSR clashed repeatedly. In 1939, along the Mongolian border at Khalkin Gol - Nomonhan, the Soviet Army under General Georgy Zhukov defeated a large Japanese force. Japan subsequently abandoned plans to invade Siberia and in 1941 concluded a neutrality treaty with the USSR. 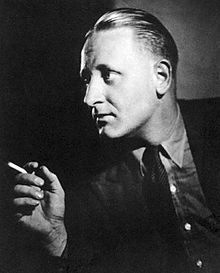 In the late 1930s, John Gunther's popular "Inside" series described the national characteristics of Europe and Asian nations through personal anecdote, biography of important individuals and overall analysis. 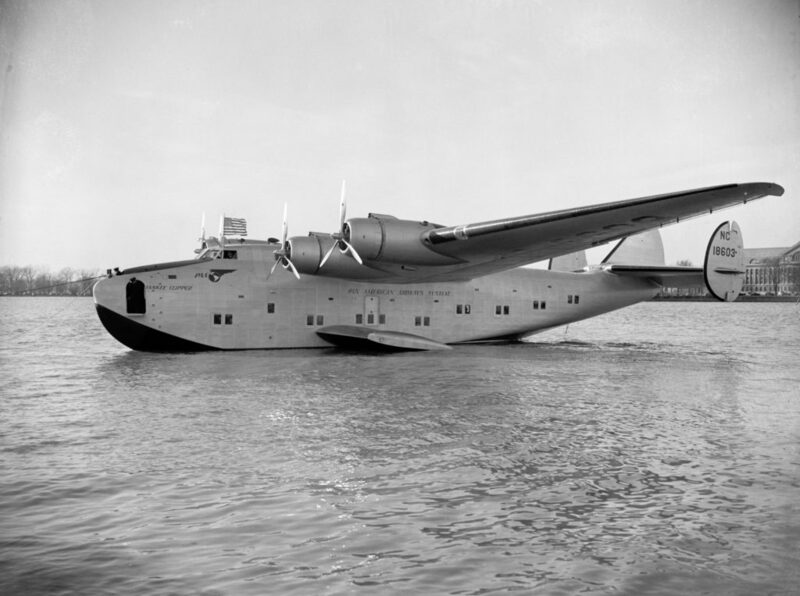 On May 20, 1939, after years of political and economic opposition (while dirigibles flew regularly across the Atlantic), Pan American’s B-314 Yankee Clipper flew the first trans-Atlantic mail service from New York to Lisbon. 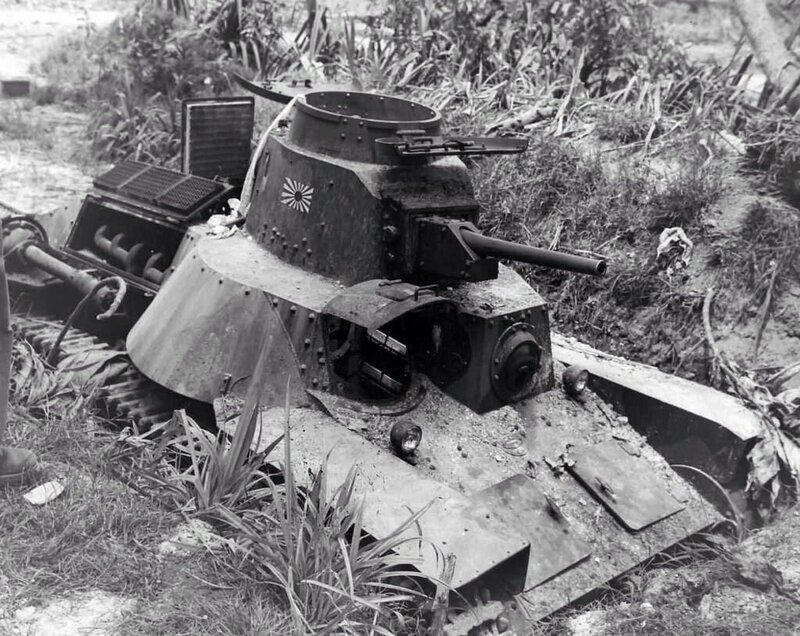 By 1937, Japan fielded 1,060 tanks designed primarily for infantry support. Without a tank designed to combat other tanks, the Imperial Japanese Army suffered significant defeats at the hands of Russians on the Mongolian border in 1939 and against Allied tanks later in the war.